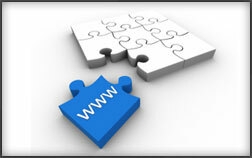 Your website is the first port of call for potential customers or clients. It is vital for a website to work efficiently and reach its full potential by converting potential customers to definite customers or clients. JHNet presents independent and objective website consultancy services that will accurately determine the deficiencies in your website. Our knowledgeable web consultants will make suggestions to the improvement of your website and help you to grow your client base. We will review your website as a unique entity from all aspects such as the visual experience, user-friendliness and accessibility, to the website copy and content. We will then interpret this information according to your business or industry, and make necessary recommendations allowing you to more effectively reach, and gain individuals from your target market.